Welcome to Chef Craig’s Official Beef Jerky Website. Chef Craig is proud to announce the availability of his Beef Jerky. Chef Craig’s Beef Jerky is a perfect blend of spices that tantalizes the taste buds and makes you want more. The flavor is sweet, but not overly sweet with a perfect light and spicy finale. 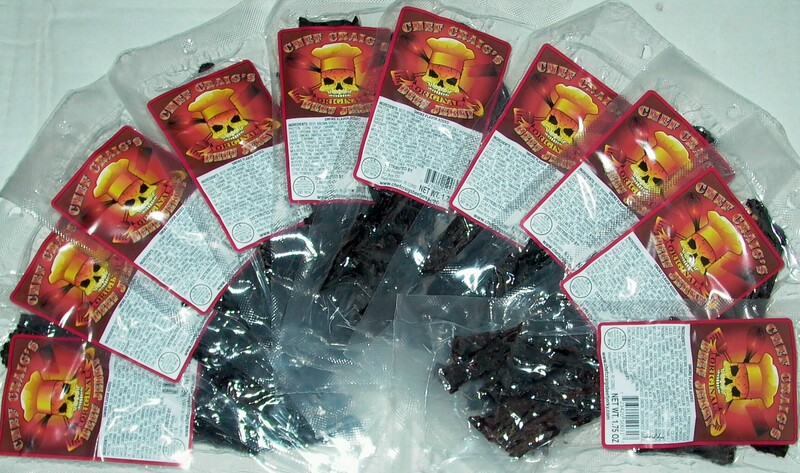 Even better is that Chef Craig’s Beef Jerky is USDA approved and Made in the USA. Chef Craig’s goal is to make his Beef Jerky easy to obtain, great to eat, and provide you with a simple & hassle free ordering experience.